I thought I'd post some pictures of my Canadian washroll display so far. 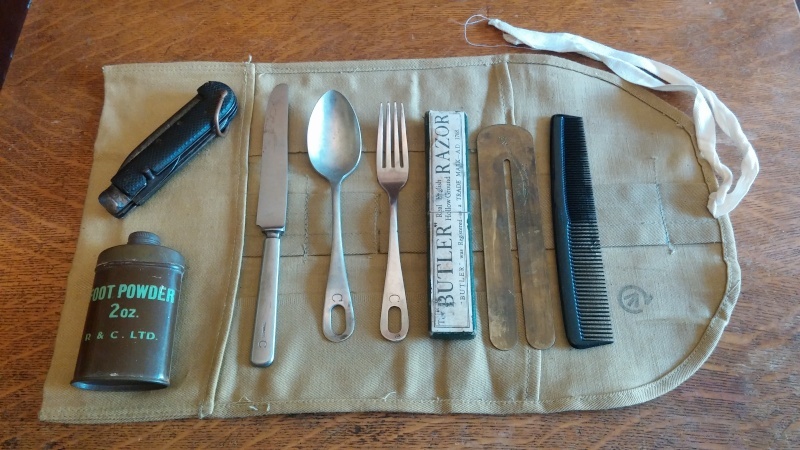 I'm off to a good start thanks to some good friends on this forum, but I'm still looking for a couple of items. 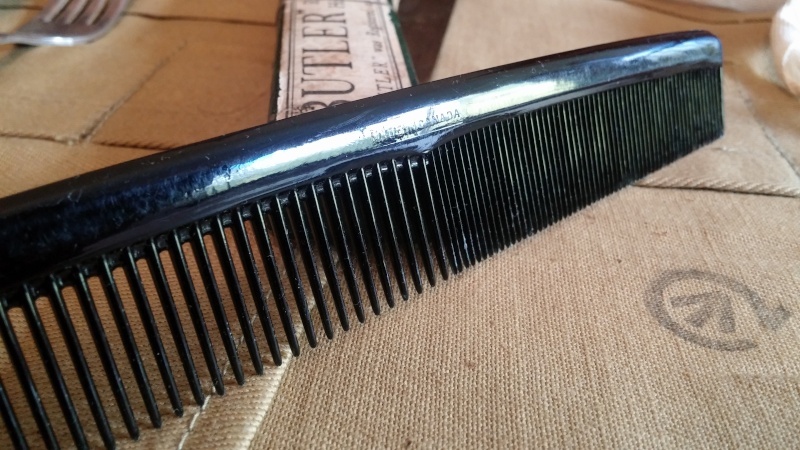 The injection molded hair comb is marked "MADE IN CANADA"
The "BUTLER" brand razor was made in Sheffield and features a broad arrow and 1942 date. 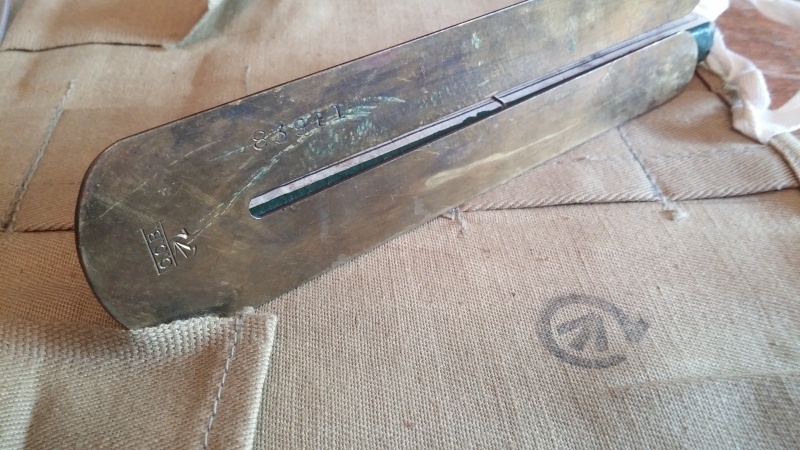 The buttonstick was made by Coulter Copper & Brass Company, Limited of Toronto and features a Canadian broad arrow. 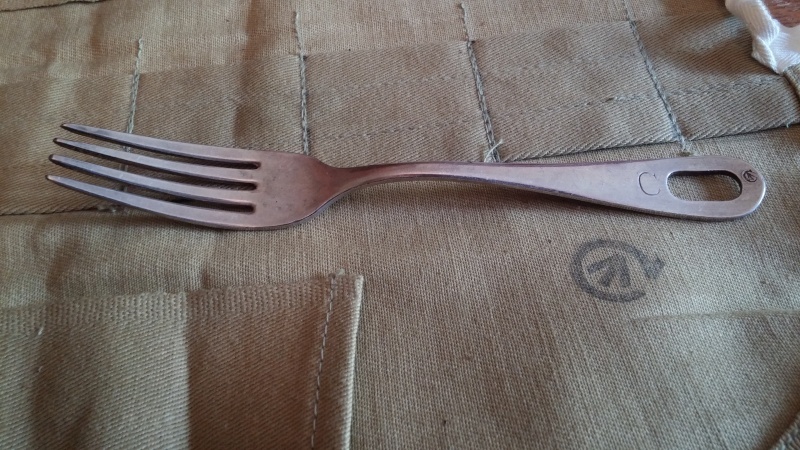 The Canadian issue fork features a hole in the handle (similar to US Army cutlery) as well as the letter 'C.' 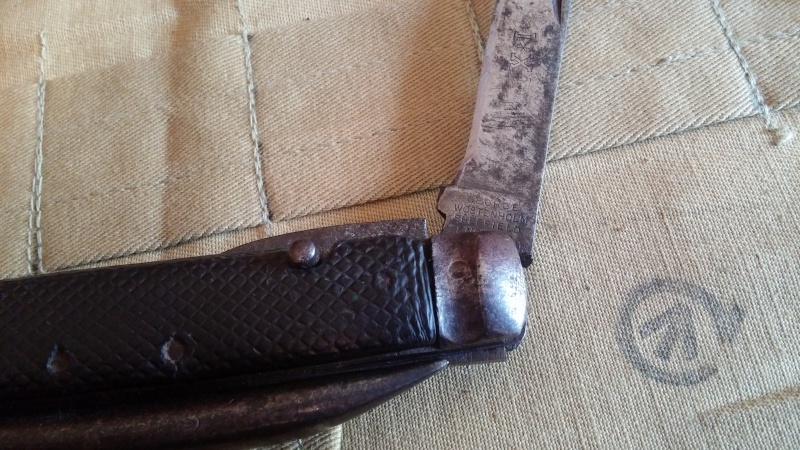 This particular example also features a Canadian broad arrow. 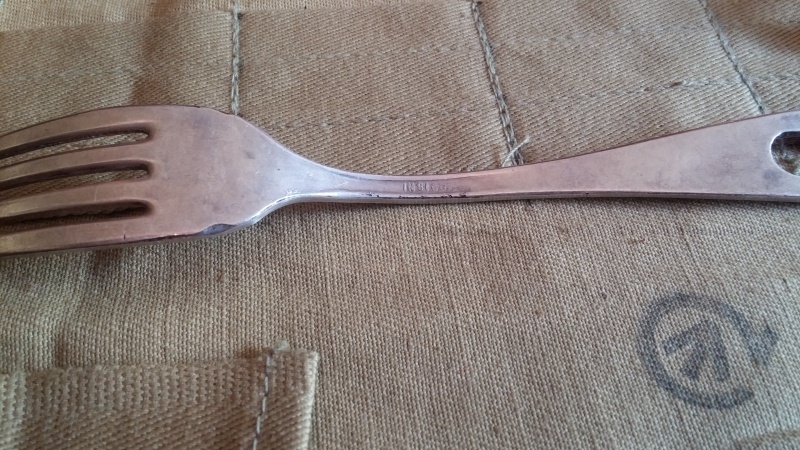 This fork was made by International Silver Company (INSICO). 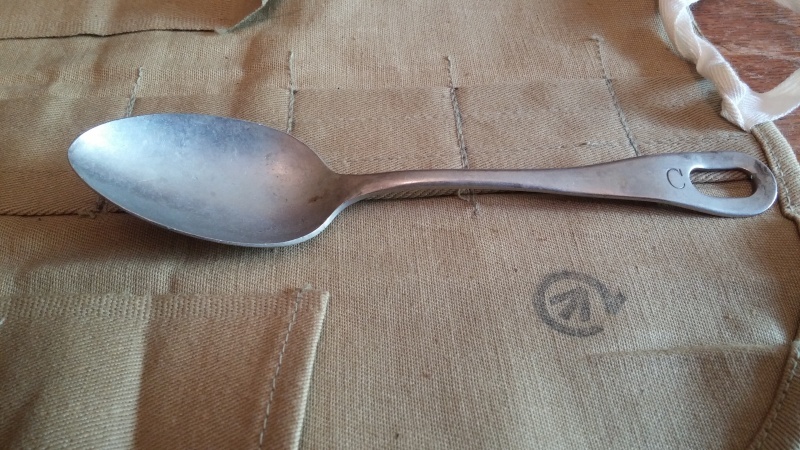 This spoon features some hallmarks that I don't recognize as well as a "NICKEL SILVER" stamp. 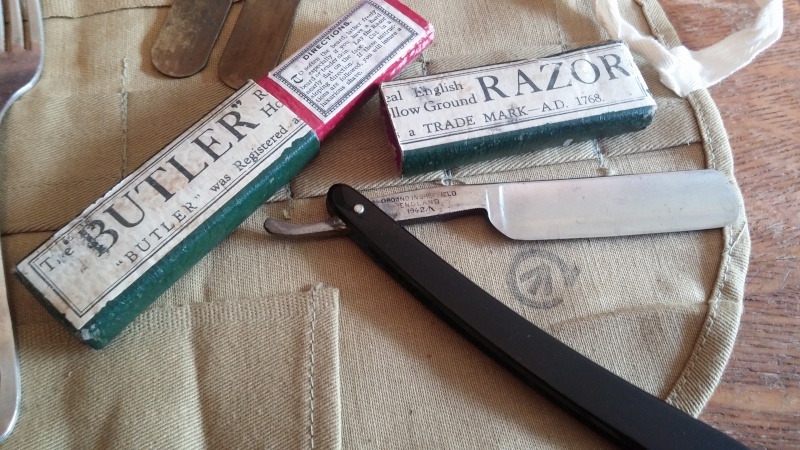 The Canadian issue knife features the letter 'C' as well as a "STAINLESS" stamp. 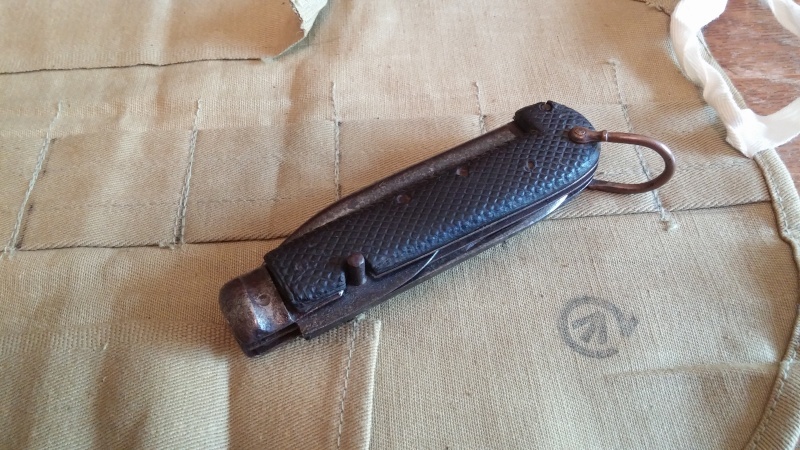 A large pre-war clasp knife with marlin spike and tin opener. 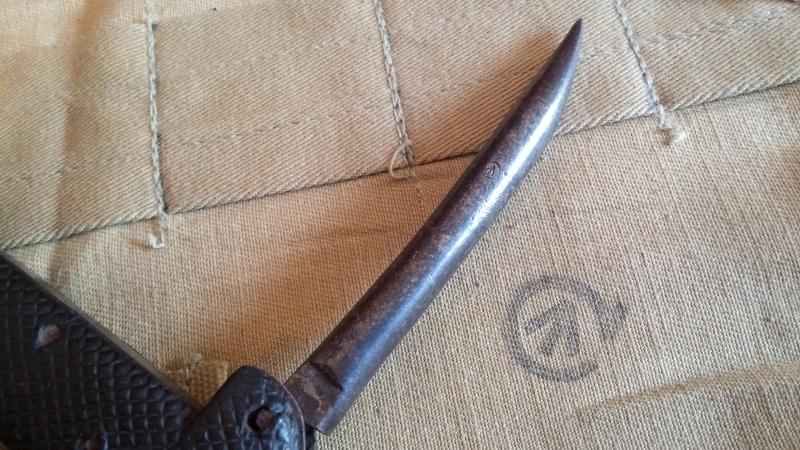 Close-up of the marlin spike with Canadian broad arrow. 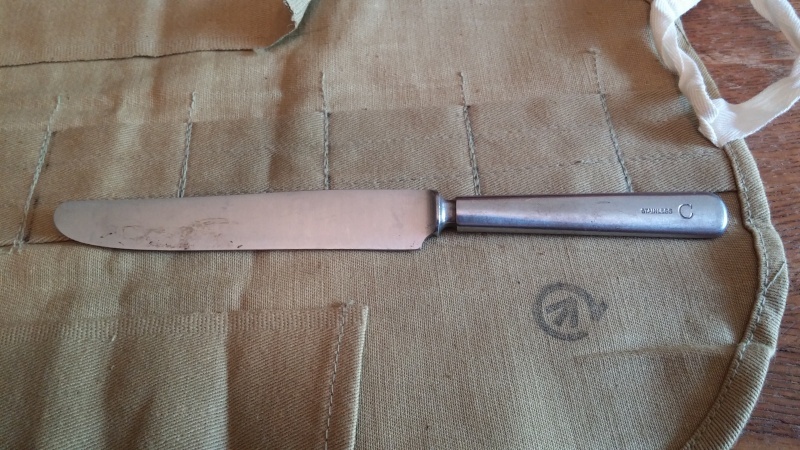 This clasp knife was made by George Wostenholm & Son, Limited of Sheffield, England. A 2oz. 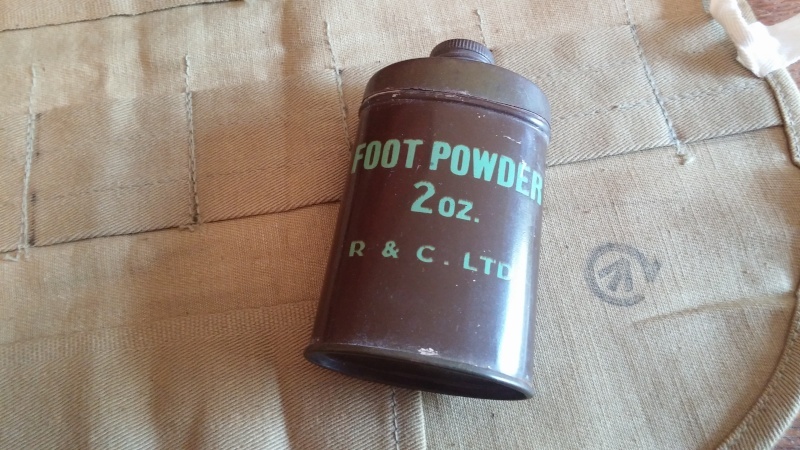 tin of foot powder packed by R & C Ltd. 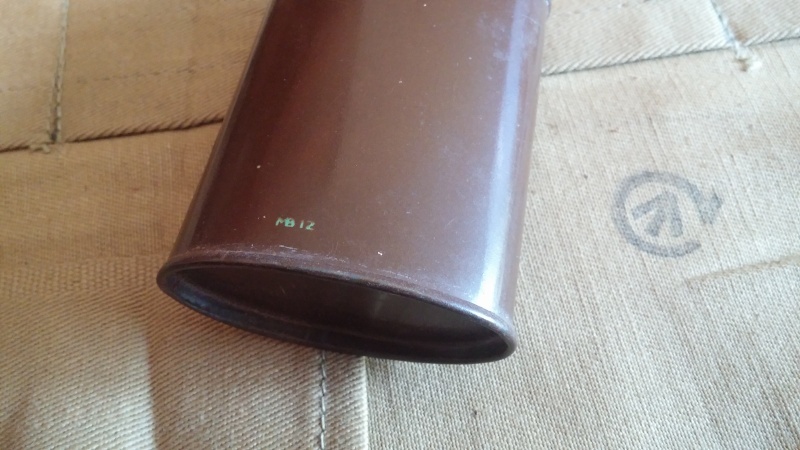 The tin itself was manufactured by the Metal Box Company, Limited of London. 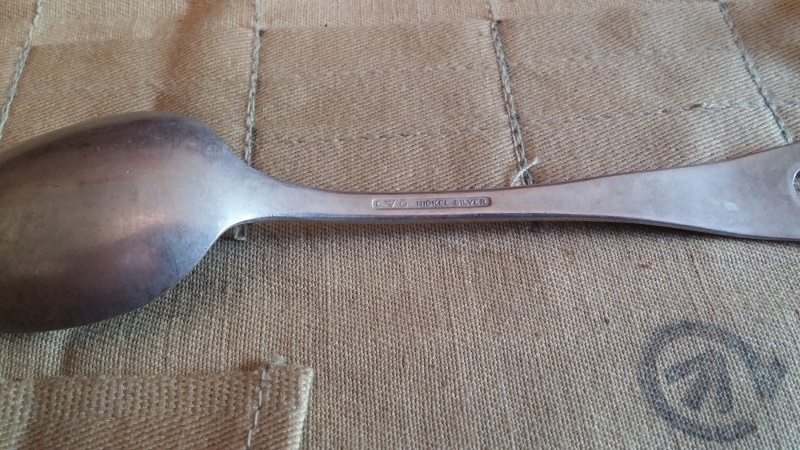 I think the '12' refers to the factory number. 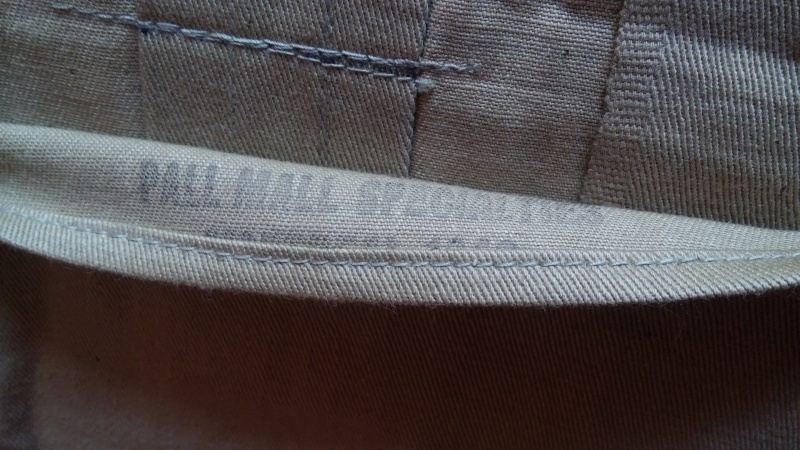 The washroll itself was made by Pall Mall Specialties of Montreal in 1942. This example is made of twill material in the distinctive Canadian shade of pale, greenish khaki authorized around 1933-35. Looks good ..... send me an email with a list of the other items you're looking for. Thanks Ypres! I'll let you know about the other items.